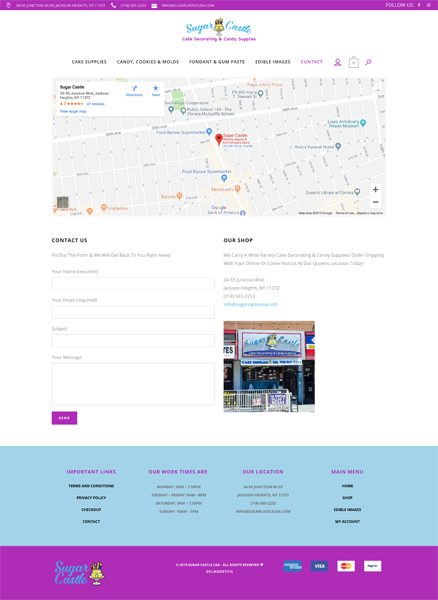 Sugar Castle, located in Queens, NY, specializes in cake decorating and candy supplies. 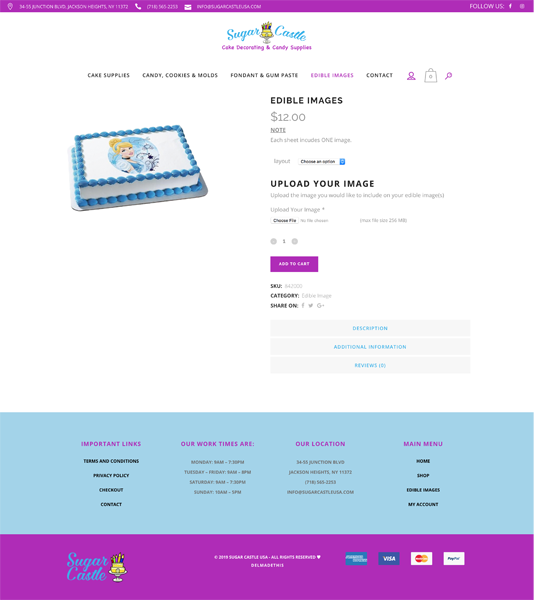 With 100’s of products for cake and candy decorators, Sugar Castle wanted to build a professional website that allowed them to provide their products to not only their local customers. 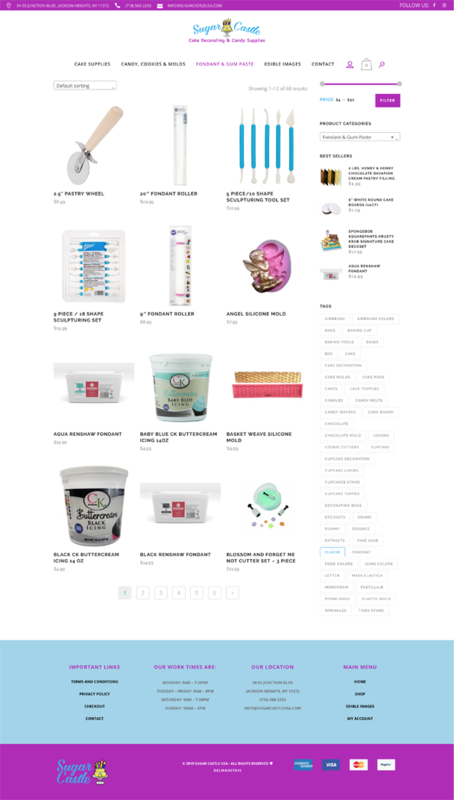 They wanted a website that also provided live shipping rates at checkout with the convenience of shipping nationwide. 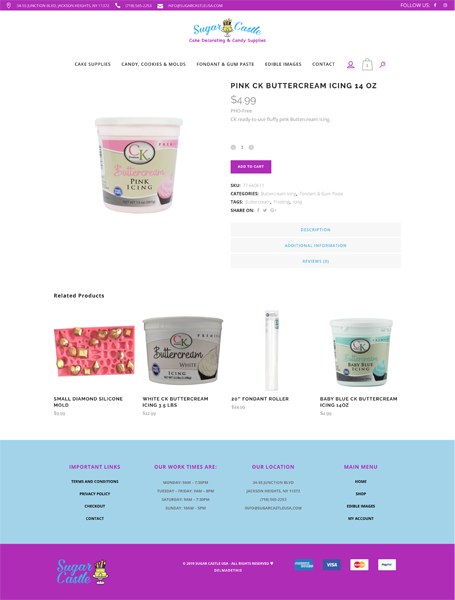 We provided a responsive(mobile-friendly) website which included these features, but also included a login and account feature for clients to also keep track of their orders. They can accept credit cards and PayPal easily on any device. We capped it off with with full encryption(SSL) and tokenization to save credit cards for quick and easy checkouts ie. sales!